St. Patrick’s Day has a new twist on the corned beef theme. Back by popular demand, Da Lobsta will be featuring its delicious St. Patty’s Day Roll ($12.95) on March 17 only at both Chicago-area Da Lobsta locations, 12 E. Cedar and at the Chicago French Market, 131 N. Clinton. 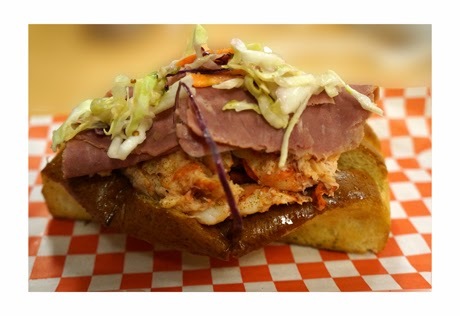 The roll features lobster and corned beef, topped with a spicy picked relish. Delish.